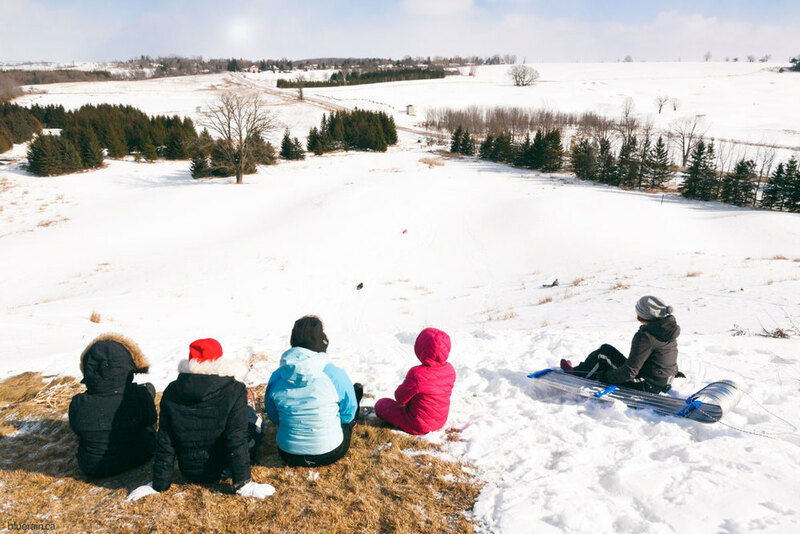 One of our favourite winter activities is sledding - a pastime we've enjoyed from early childhood. On our summer hikes we make note of the big hills that should be visited when winter comes and snow covers everything. Sometimes the hills are big - terrifyingly fun going down and muscle-burning tough getting back up. Big hills or small, it's always a grand time - flying snow, freezing temperatures, laughter and tears.